Sheaffer Targa 1003 ballpoint pen in the earlier version, from 1980-88. Matte black finish with gold plated trim and the early style black cap-crown/derby. New old stock pen with a working Sheaffer ballpoint refill installed. Product Name Targa -- model 1003 (early version, with the black derby). 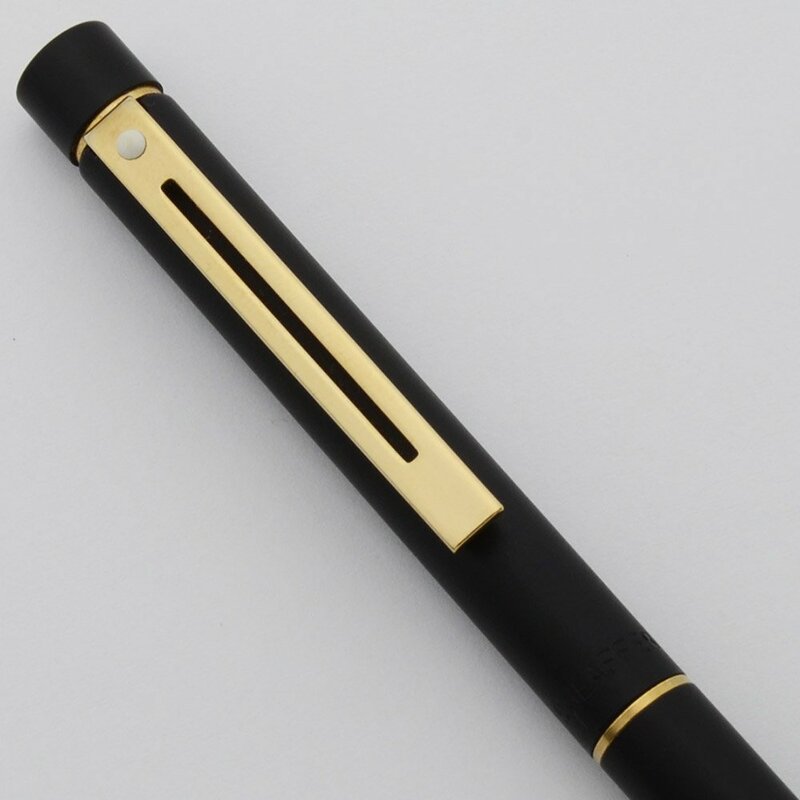 Manufacturer and Year Sheaffer, made in USA -- this version of this model was made 1980-88. Filling System This takes Sheaffer style ballpoint refills. A working refill is installed. Color Matte black with gold plated trim and a black cap-crown, indicating that this is the early version of the model. It has gold plated end pieces. Condition New old stock, mint condition. The finish looks perfect and there are barely any storage marks. The mechanism works well.